Ouch. That hurt. A championship playoff final like no other. Before the game both teams referred to this type of game as unique. A two legged play off final to claim one of the biggest prizes in English rugby. Unique it certainly was. 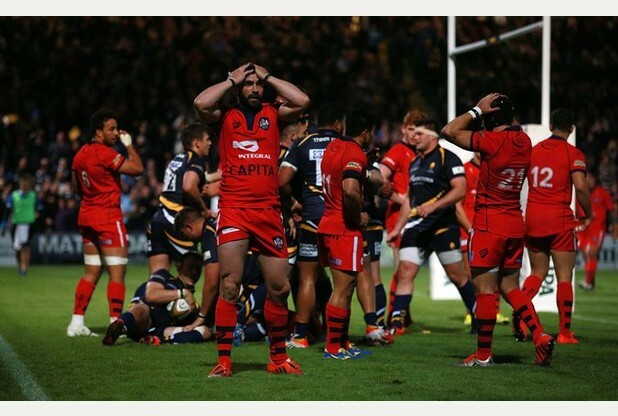 Each 80 minutes, at Bristol’s Ashton Gate and at Worcester’s Sixways stadium, was exhilarating. Rugby at its chaotic best. This way then the other. The collisions were deafening, repeating across the field like mortar fire and then eventually, the open space; the man running free. Like silence amidst the symphony: greater because of the previous clamour. The win was Bristol’s and then it wasn’t. Is glory ever sweeter than when it is snatched? Thirty points all on the night, but Worcester’s victory. A difference of a solitary point from their triumph a week earlier. Aggregate can be cruel: a collection of particulars into a whole; no better way to describe a game of rugby. So what now for Bristol? As they pick their way through the bones of the most unwanted carcass, they are left to fend for themselves on the outside. Their prize is another twelve months at the window, hungry, watching others eat, plotting a way to find a seat at the table. They deserve better. A better league to play in. A better contest week in week out. The problem for me is not that they aren’t part of the Premiership, it’s that the Championship is seen as such an awful place to be. I feel we need ring-fencing to sort out this problem. Yes, the Championship not the Premiership. It’s a radical idea but hear me out. 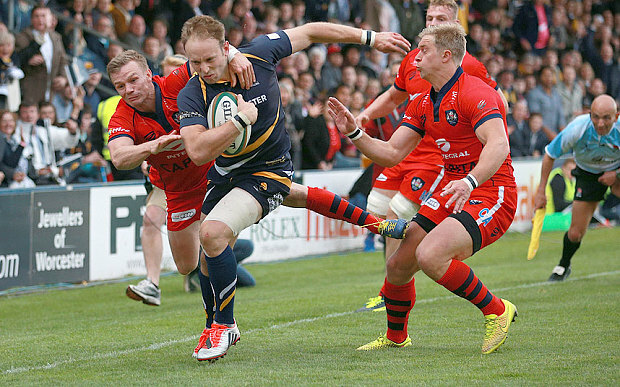 We need to strengthen English rugby’s second tier. And we need time to do that. Time and money of course. Take up Bristol and maybe Leeds, if they want to go, and pull a cord around the Prem. Give the Championship three years and enough money to sort themselves out (use some of the money from the really good World Cup you’re going to have). With that money, the Championship will ensure twelve clubs with stadia, facilities and resources that can support a decent level of rugby. Lend them the good Premiership academy players and work with them off the field so they can learn to build the clubs up from the inside. Put good local marketing projects together, individually but also as a league. Get more and more people to come to the games. Sell the media rights to terrestrial telly, maybe a highlights package after your Sunday show on ITV4. Sort out a price that suits everyone, don’t be greedy, just make sure it gets exposure on television. Spend time and money on bridging the gap between the first and second tiers. Put a sustained and concentrated effort into making it better. At the moment it is an untended field, a place of neglect; somewhere where people don’t want to be. The fact that London Welsh, after all the ignominy of their last twelve months, will be Bristol’s greatest challengers next year is testament to the fact that the game is unwell. They’ll receive a hefty parachute payment and become one of the richest clubs in the league. That idea itself was introduced to help with the ‘landing’. And that’s just my point. Don’t hand out parachutes when you have the ability to bring the ground closer to the plane. Tend to the field, nourish the land, make it somewhere potential grows. If we do anything with the legacy of RWC ’15, we need to make the leagues below the Premiership better, creating a fuller, stronger and more well-rounded national game. Those clubs know how much they need to improve. They want to improve. They just need help. This autumn’s World Cup in England will create millions of pounds for the RFU. I hope they know how they are going to spend it. This entry was posted in rugby, Sport and tagged aviva premiership, bristol rugby, rfu, rfu championship, rugby, RWC'15, worcester warriors. Bookmark the permalink.